The Ampeg SVT-VR Bass Guitar Amp Head is a vintage reissue of an early 1970s “Blue-Line” SVT head. 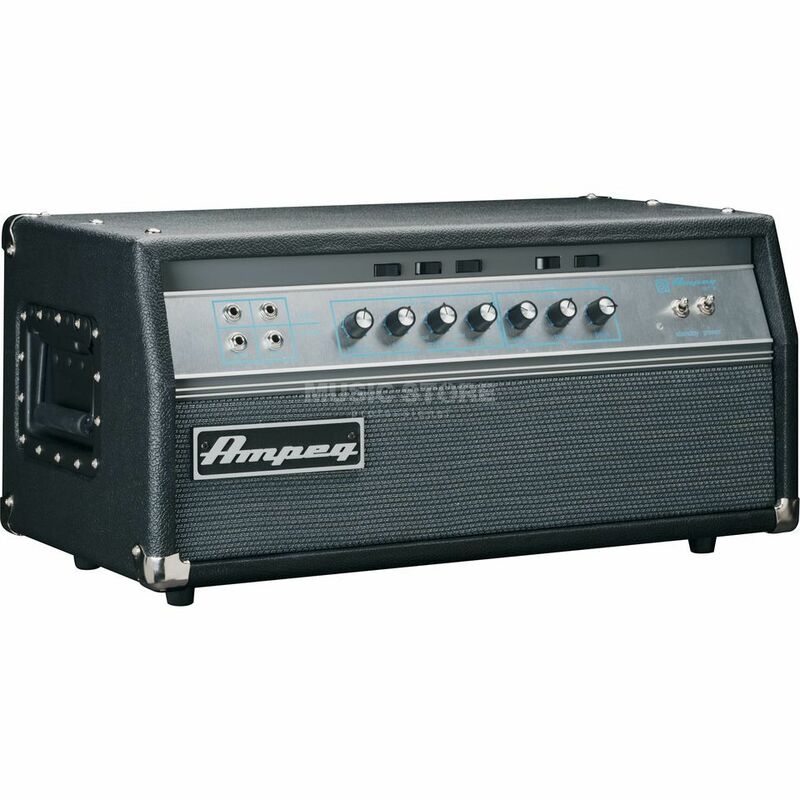 The Ampeg SVT-VR is an all-valve head, providing 300 watts of power. There are two channels, each with both Normal and Bright inputs as well as Volume and Tone controls. The SVT-VR also offers Ultra-Hi and Bass Cut-Off/Ultra-Low switches on each channel, while Channel 1 benefits from a 3-position Rocker switch for mid-tone control. The preamp stage, power section, and Rocker switches emulate the exact signal path, tone, and vibe of the original rock ’n’ roll workhorse. Authentic from its input jack all the way to its six 6550 output tubes, the SVT-VR is a must-have for rockers seeking the original Ampeg valve bass tone. The only cons is its weight. This amp is a beast, very loud and very clear sound. The best original Ampeg sound! The construction is very solid, build like a tank. Not too much knobs, but you dont need them. This amp can give you the best tone. Dont hesitate to buy it. Worth every penny. Dont look back again for another amplifier. This amp has 8 preamp tubes and 6 power tubes. That means POWER, warm and round tone. This amp han no gain, only volume. That means VERY CLEAR sound.